Oh it happened. No it didn’t happen overnight, it crept up on me slowly over the span of 2 years. What happened exactly? I got fat. No I didn’t gain 100lbs or anything, but I gained enough which forced me to buy new pants and currently wear stretch pants to work. I held off buying a larger size of pants for 4 months because I didn’t want to give in to this weight gain. 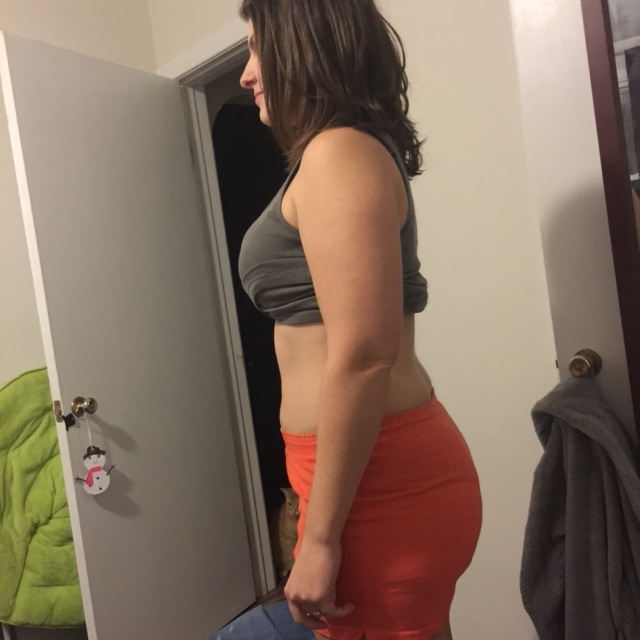 I didn’t want to admit that I had lost my way and my figure as well. I wanted to get it off and get back into my regular size before being forced to buy new clothes. But you can only wear stretch pants to work so long before it eats at you. I think I am like a lot of women who aren’t obese (yet), but have gained enough weight to the point where we don’t feel good in our skin. I feel jiggly, double chinned, unsexy and can see that my bra is digging into my back fat making a nice double line…but things weren’t always this way. My body, fashion and appearance has always been very important to me. I have always been an hourglass figure and damn proud of the hard work I put into maintaining it! I wore pencil skirts, blouses, heels and spent time getting ready for work every day. Since this weight gain, I feel like I have lost my identity and things I deeply enjoyed. When you lose one of the things you identify with, you feel completely lost. I have come to a point where I am disgusted with myself and feel like I need to make a change…This NEEDS to happen. I’m not an expert on diets, exercise or healthy eating so I need a little help. It is going to be a long road to do this right, so I’m hoping to get the support of other bloggers to succeed in this journey to a better body. A public blog is a great way for accountability and motivation. I want to succeed so back me up and let’s do this! Lets lose those 10-20lbs we have gained!